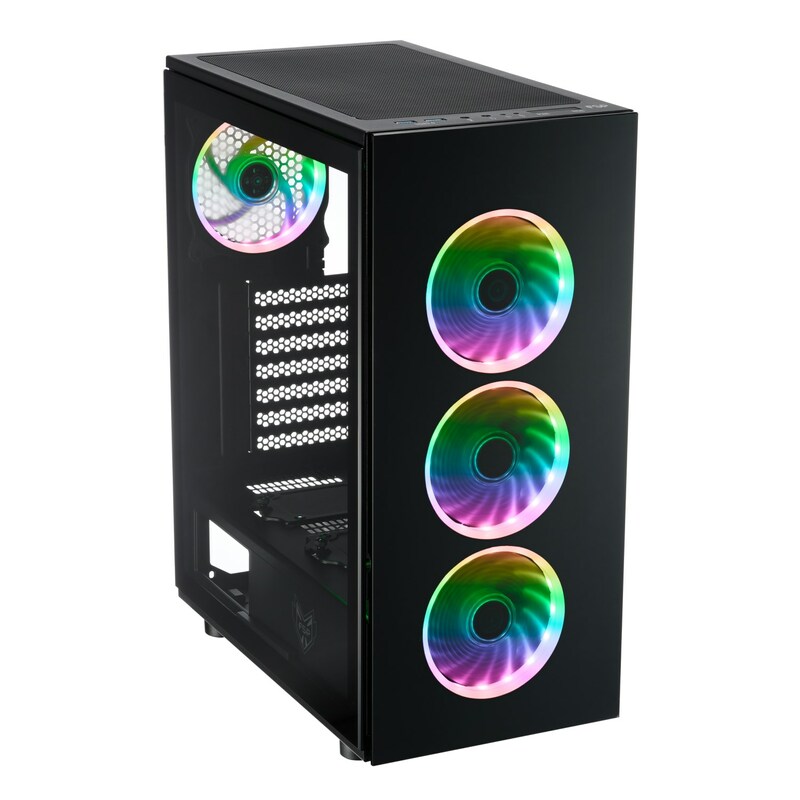 Taipei, Taiwan, January 29th, 2019 - FSP, a leading manufacturer of power supplies and PC equipment, is pleased to announce the availability of the CMT340 RGB PC Gaming case, the world’s smallest mid-tower chassis that can fit a 360 mm radiator. With four amazing looking and addressable RGB fans and two “galaxy dark” tempered glass panels, the CMT340 is a beautiful proposition for gamers on a budget. The CMT340 is a compact version of the award-winning CMT510 ATX mid-tower but with several improvements. It features a gorgeous black coated, sturdy SPCC steel frame, which holds the same distinctive features and flexibility as the one in the CMT510. It supports a wide variety of radiators, ranging from 120/140/240/360, for liquid cooling, or air cooling fans. The CMT340’s four RGB fans are fully addressable and compatible with Asus Aura Sync, and MSI Mystic Light Sync. 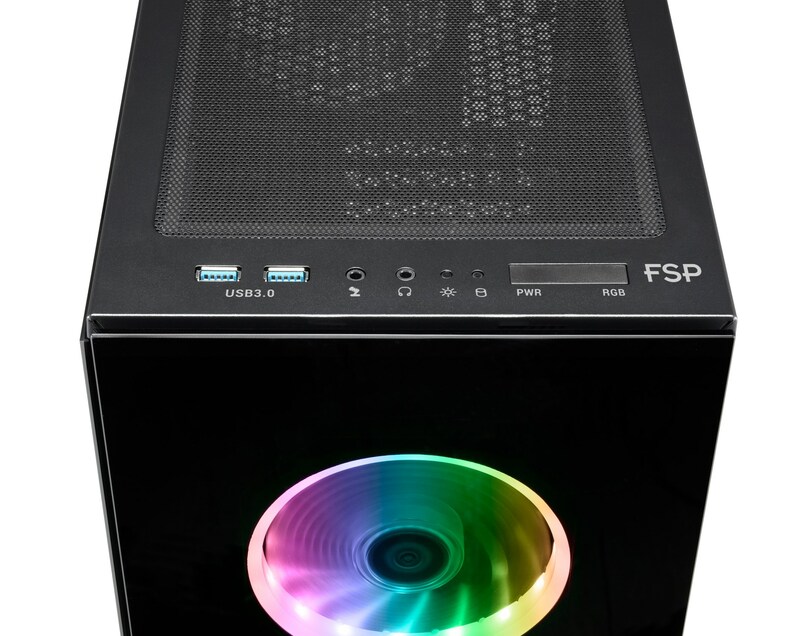 With the CMT340, FSP continues its dedication of offering affordable PC gaming cases that meet the needs of even the most dedicated professional gamer. The CMT340 is compatible with all motherboard brands’ addressable RGB technology, to ensure that all 4 120mm RGB fans stand out even more. 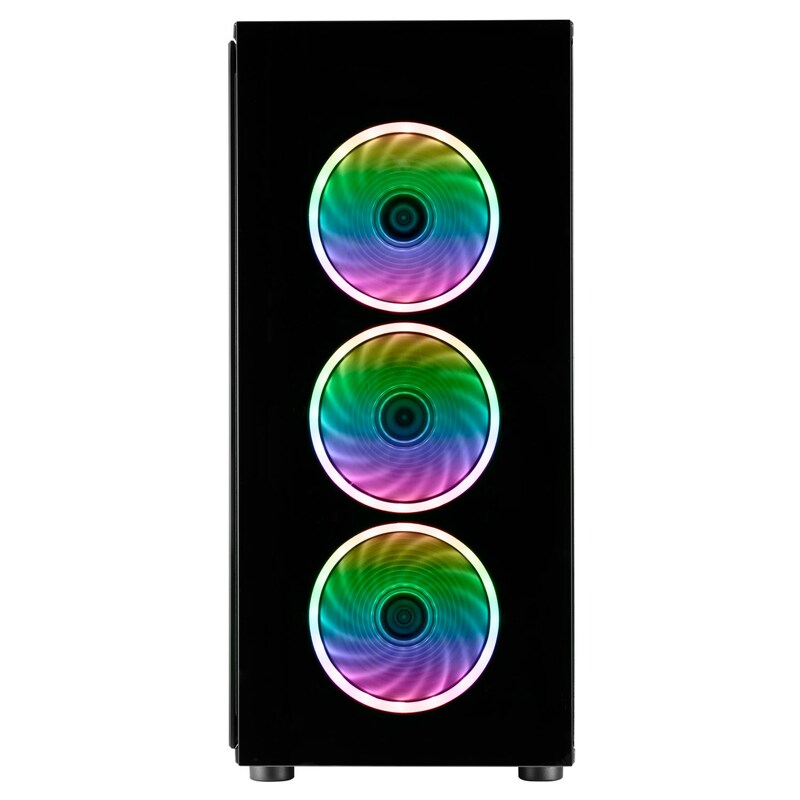 But the CMT340 is also capable of operating all 4 fans independently, plus, it features a range of addressable RGB effects, such as: Static, Blending, Carnival, Gradient, and Rainbow Fusion and many more. Switching between all these different modes and motherboard syncing is as simple as pushing the RGB button on top of the CMT340. 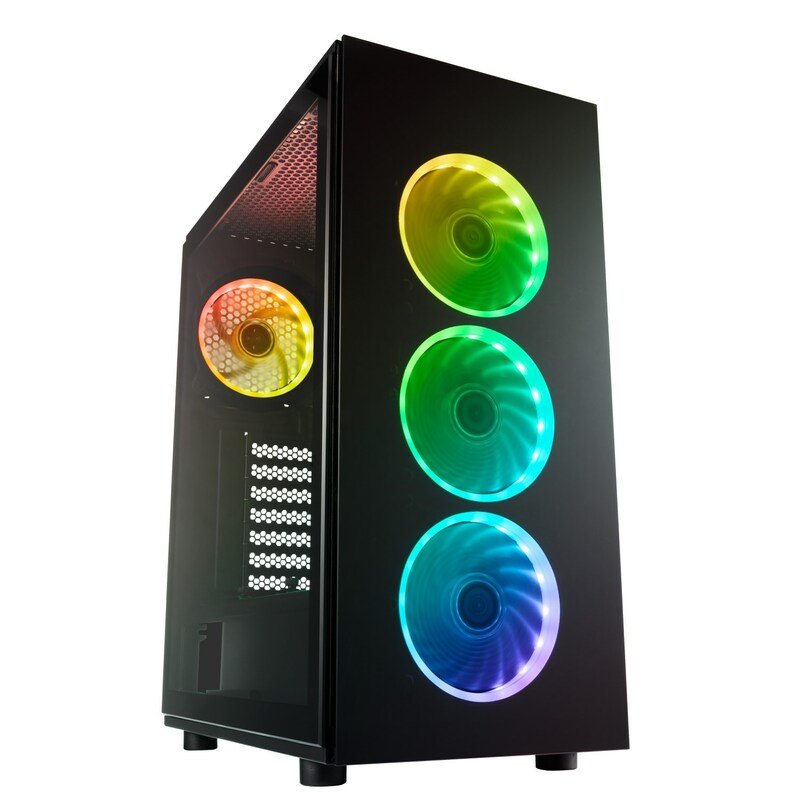 All RGB effects are perfectly visible through the “Galaxy Dark” tempered glass panels, located at the front and the side of the CMT340. 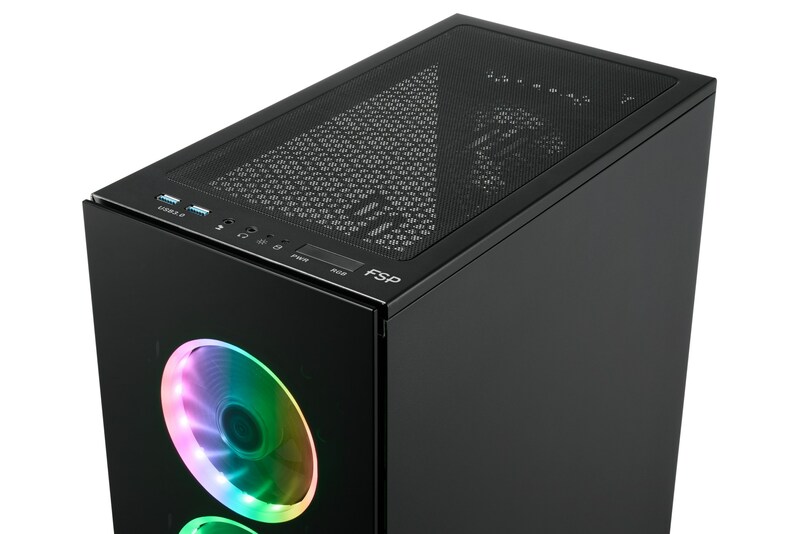 Airflow is provided by dust-filtered ventilation holes at the top and bottom of the case, as well as a gap between the front-panel and the chassis. 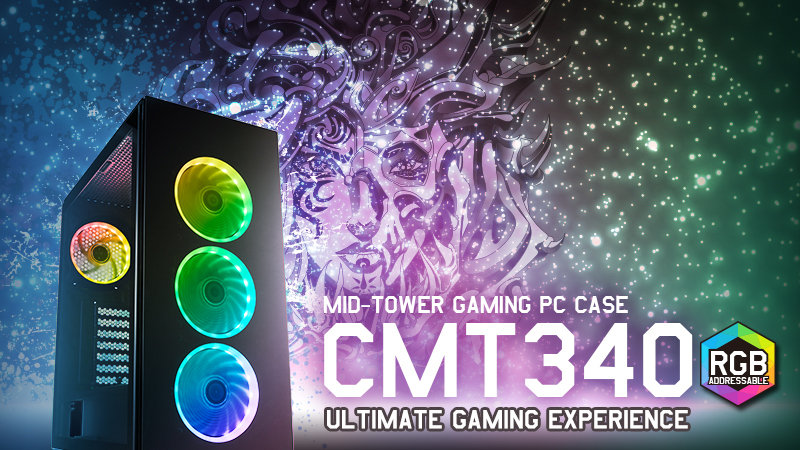 The CMT340 is designed for gaming enthusiasts and allows a wide variety of cooling options. It fits a 360 mm radiator or three 120 mm fans at the front of the chassis, while a 240mm radiator, or two 120/140 mm fans, can be mounted at the top. It also fits CPU tower coolers as high as 160 mm and massive graphics cards up to 350 mm in length. Together with a PSU shroud, which has a cut-out, to display your power supply, the CMT340 becomes a compact case with spacious internal design that fits the needs of todays’ most demanding gamers. The entire frame of the CMT340 is made of SPCC steel which is completely covered in a dark black matte coating which gives it a luxurious high-end look. 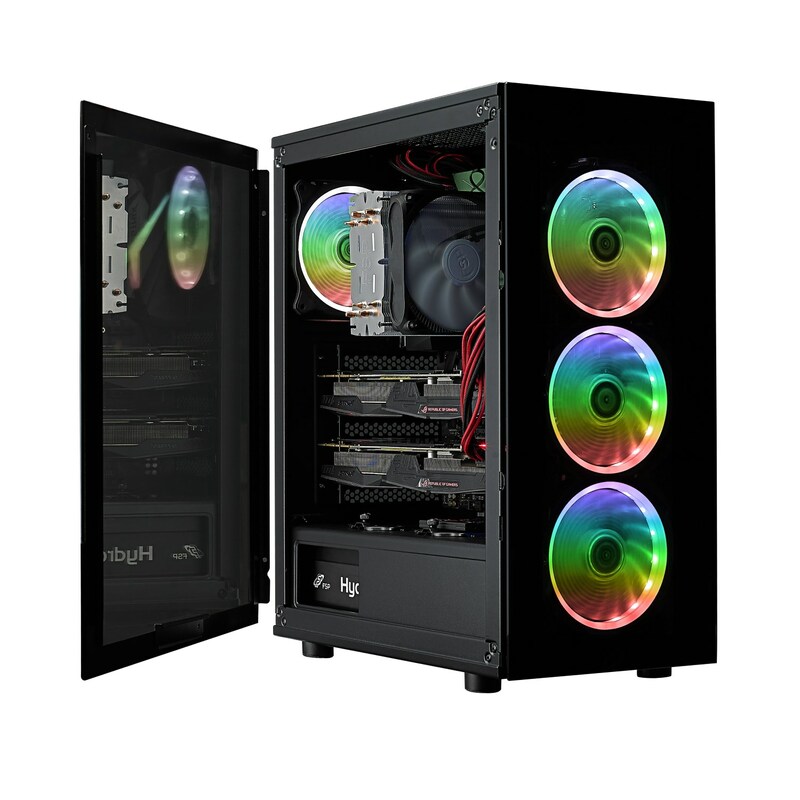 Together with the addressable RGB lighting from the integrated fans, this creates a stunning looking case from the moment the system is first powered. The I/O panel is conveniently placed at the top-front of the CMT340 to provide easy access to its two USB 3.0 ports, Headphone and Microphone jacks, power and reset button and RGB mode switch button. The CMT340 allows for flexible spacing plus, with an integrated mounting system, cable management won’t be a problem, allowing for a complete build an sleek design. Fitting Mini-ITX, MicroATX, and regular ATX size motherboards, on-board storage can be complimented with two 2.5” and two 3.5” drives. For more information about the CMT340, visit FSP’s CMT340 website.